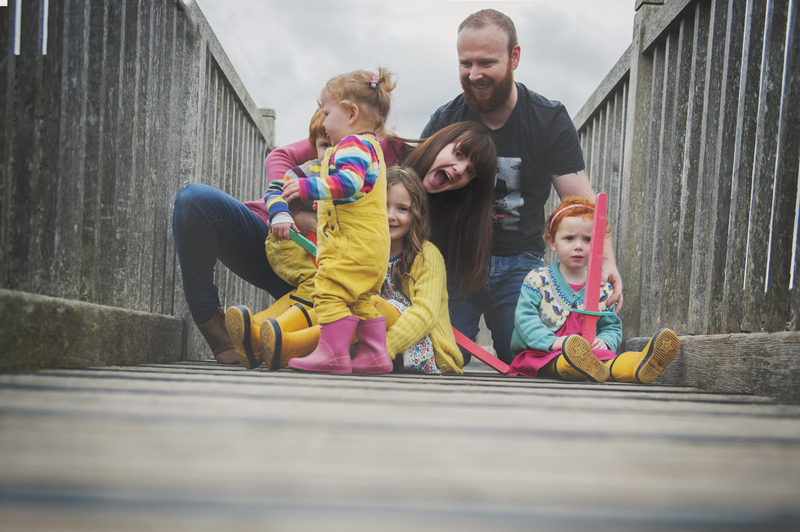 My Little Wildlings | 12 FREE days out in EDINBURGH for kids! I get a LOT of messages asking where to take kids in Edinburgh. I have handful of kids at a few different ages so feel like we cover a good variety of days out. I’m the mum that avoids soft play at ALL costs, so here’s how to do a fun day in Edinburgh without having to do soft play, kicking off my Edinburgh for kids with all the fun you can have for FREE! It’s usually our first stop on a wet day, to be honest, any day. The National museum has a variety of topics covered for a variety of ages. Dinosaurs, romans, space, you name it. The rooftop terrace has stunning views over the city. If you fancy a little walk after all that fun, you can nip down the Grass Market and stop by Mary’s Milk Bar. It has one of the best ranges of ice cream with flavours like Tea & Jam, Honey & Lavender and of course, milk flavour! Such a good chill out spot to take the kids, it’s attached to the main city library and has recently had a bit of a makeover. Cute seats, a chill out room and offers a variety of clubs including a Lego club for age 7+ every other Wednesday evening. Free to register for a membership. This place has recently had a bit of a renovation. Filled with toys and parphanalia celebrating British childhood, its amazing for kids to see and adults to reminisce over. You can see a Buzz Lightyear from the year 2000 or the first ever doll from 1740. Such a wonderful music to visit and secretly enjoyed by the parents more than the children. I challenge you to walk around and NOT get excited about the toys you remember owning when you were tiny!! For those Harry Potter fans amongst us, you can go on a FREE Harry Potter tour around the town. It’s an unofficial tour but completely free taking you through the city to where the first book was written, you can see where Voldemort is buried and skip down Diagon Alley. Aimed at 8+ but families are welcome. You don’t have to book and can just turn up 5-10 mins before a tour and join in. Theres even a few special tours with the promise of some magic from Magnus Negus! One of my most favourite places in Edinburgh. 70 acres filled with the most beautiful trees and blooming flowers you can wander around for hours, it’s so peaceful you forget its right in the middle of such a busy city. Theres no scooting/skating but you can feed the birds and squirrels, theres a super cute gift shop and often theres a workshop or some sort of children activity running. It’s opening hours change with the seasons so check those before you visit. Gorgie Farm is a free little farm not far from the city centre. Its completely free and relies on public donations and volunteers to run. You can visit a range of animals, feed the pigs and goats, hold the chickens and visit the bearded dragons. Theres a small play park for kids up to age 7, a sensory garden, workshops, a cafe and a picnic area. It’s pram and wheelchair friendly but does have cobbled paths leading up to the entrance. This is a great spot for a picnic, playing frisbee, football or just letting the kids burn off some energy running around the grass. Theres often a lot on in the park during the festival so its always fun to check out if theres a workshop or circus in town. Theres a pretty ace park that has a mini coffee shop on the grounds, theres a sand filled park, swings and slides. It’s good for a quick visit or a full day if the weather stays nice. You can also visit the mural able, just around the corner! To this day no one knows how it got its name, but we spend a lot of time up Arthur seat. We never fully make it to the top, but we do have a favorite picnic spot next to the duck pond. It’s an extinct volcano and sits in the middle of Holyrood park. We buy bird seed before we go and its gone in a matter of minutes. Breads and rice are really bad for the wildlife so if you do plan to go feed them make sure you have some food that is wildlife friendly. Early morning is advisable any time after lunch and the birds are full and won’t come near you, so you can have your picnic in peace. My instagram stories are often filled with us scooting along the prom. It’s an easy Sunday activity that keeps everyone happy, including me, because the Little Green Van serves the best hot chocolate this side of Edinburgh. We scoot all the way along the prom, rest in the arcades and scoot back. There are 2 play parks along the prom, suitable for all ages and a few places to stop for tea, cake or ice cream. Or, you can walk a few minutes up the street and visit a number of cafes including The Skylark. Crammond isn’t one we get to visit often but has a gorgeous walk filled with the sweetest whitewashed houses and if you get the tides right you can go out and visit the Island. But be careful with the tides that you don’t get stranded. The entrance to the West gardens boasts a gorgeous, and working, Floral Clock, tens of thousands of flowers bloom July to October. The prettiest way to find out the time. If you’ve got a fan of Teacup Travels on CBeebies, you can visit Great Aunt Lizzies house here! You can’t actually go inside, but you can get a little photo at the gate and admire her little garden. Then have a wander in Princess street gardens, you can watch the trains from the bridge, picnic in the park, get a great view of the castle or play in the fun little play park. Theres a coffee stop right next to the park for the adults and in the summer theres always something going on, last year they had giant deck chairs and music and the carousel often makes an appearance. This one is a little more for the grown ups and older kids. Ruby loves wandering around looking at the art work. It sits right on the mound, Princess Street. They currently have a piece in by Jenny Saveille and it’s just beautiful. We search for our dopplegangers and see who can spot the cherubs in the paintings first. Ok, so not technically edinburgh, but close and free AND ace. We visited a few months ago and spent an entire day there. Such magnificent beasts to see. You can go on a tour around them (this costs and can be booked via the website) and learn a little more, theres an interactive centre inside to learn how they were made and why. You can wander as close as you like, the canal has some of the loveliest boats and there are beach huts perfect for a few snap shots. Do you have a hidden nook/free day out in Edinburgh that you love? We would LOVE to havee a visit! Pop a little comment below with your favorite places! All information correct April 2018. None of this post is sponsored or an Ad. All views are my own.